It's J E L LO! Do you guys remember the Jello commercial? As soon as we opened the package of cherry jello mix, we were teleported back into time. 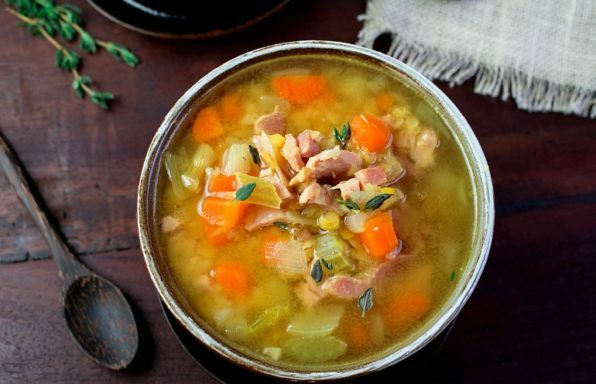 Do you know how certain smells bring back some fond memories? I felt like I was back in my mom's kitchen, sitting on top of the counter because I was too short to reach. Patiently stirring the jello until all the crystals melted. Jello fruity gelatin is one of those desserts that never goes out of style. However, we can’t be giving our family odd ingredients that we can’t pronounce. Kids and adults as well, love to watch this dessert jiggle and wiggle on their plate. 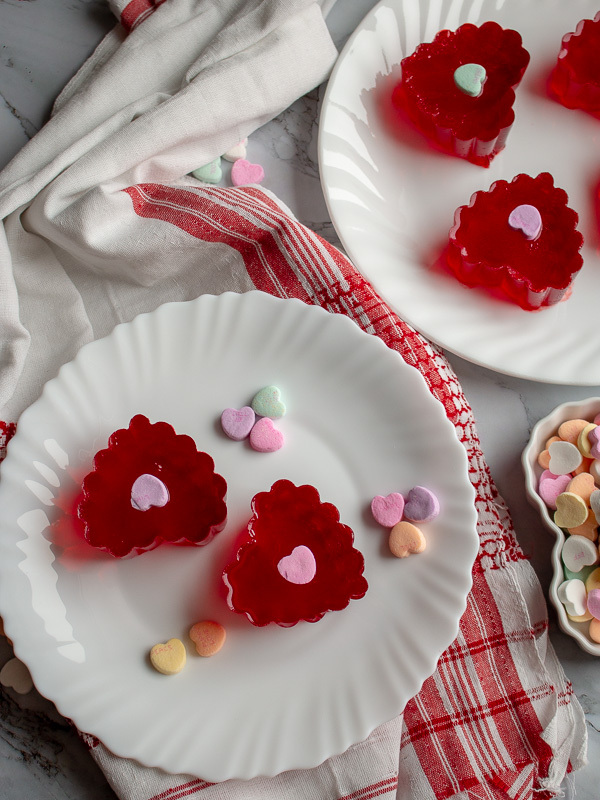 We came up with a brilliant way to make both the kids and adults feel happy about eating a heart happy dessert. 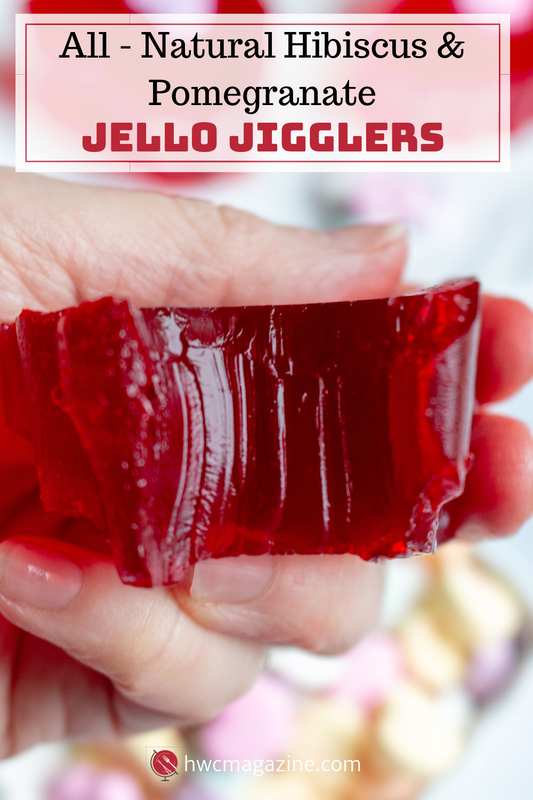 With just all-natural grass-fed gelatin, all natural juice and slightly sweetened hibiscus tea we were able to make a fun Valentine’s Day Jello Jigglers that everyone could enjoy. If you are looking for another delicious dairy free Valentines dessert be sure to try our Velvety Vegan Chocolate Mousse. Why use grass fed gelatin vs regular gelatin like knox? You really can use either grass fed gelatin or regular gelatin (like Knox). They will both work well in the recipe. 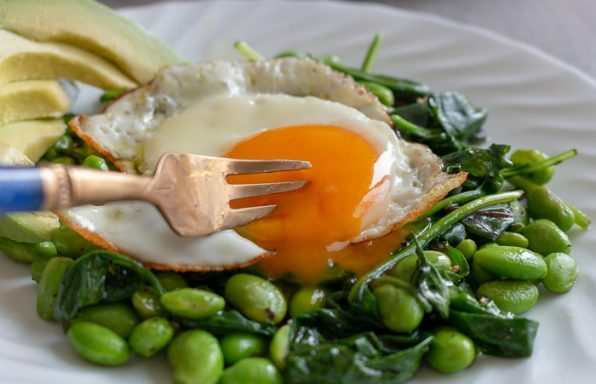 However, the plus in using a grass-fed gelatin is not ingesting hormones, antibiotics and other foreign things that are placed in the cows or porcine. 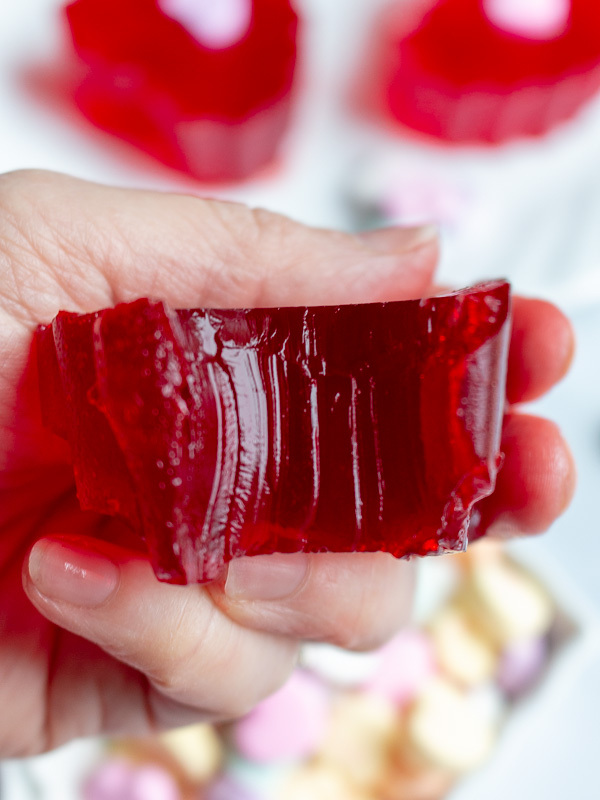 Gelatin is made by boiling animal bones, cartilage and skin to extract the collagen. Collagen is a protein. 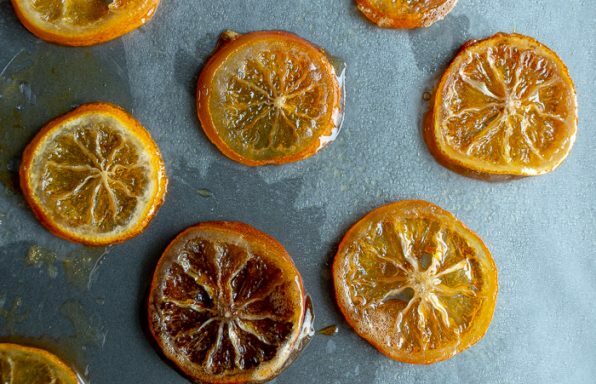 When this gelatin cools it creates a jelly like texture. Gelatin is rich in protein. It may help with irritable bowel syndrome and leaky guy symptoms. Gelatin may reduce joint and bone pain, increase brain function, increase sleep quality and help reduce the signs of skin aging. 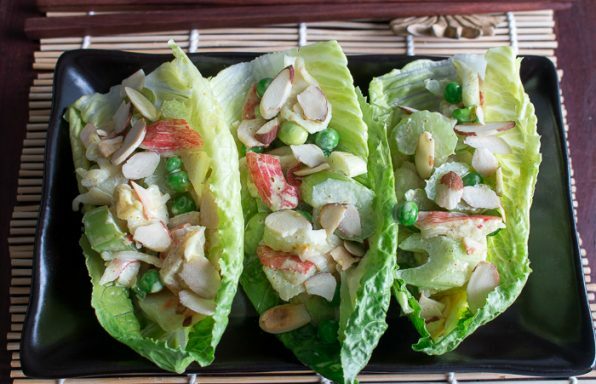 It may also make you feel fuller longer and assist with maintaining your weight goals. How the heck do you get your gelatin to bloom? You can use almost any all natural 100 juice you like. However, avoid pineapple, kiwi, papaya, mango and ginger have an enzyme that prevent the jello from setting so avoid these fruit juices. However, we have been told that the canned version is okay as the enzymes have been removed. We used all natural 100% pomegranate fruit juice as this is high in antioxidants and pretty red for Valentine’s day. Grape juice, apple juice, orange juice and cranberry juice all should work well. Hibiscus Tea in my Jello? You bet! And it is so refreshing and delicious. 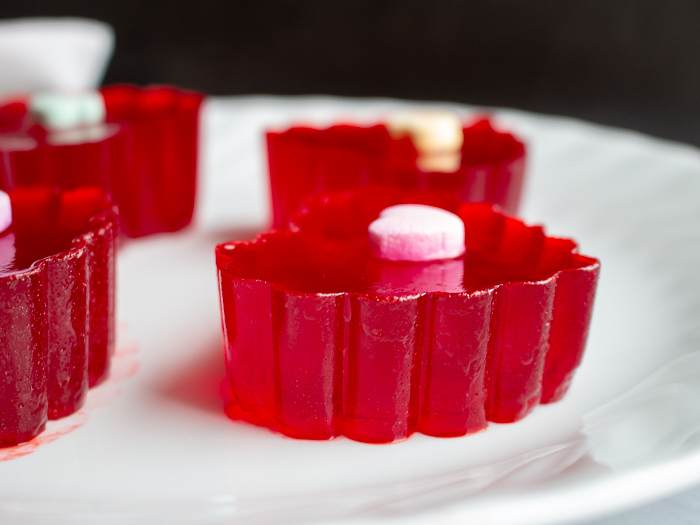 We brewed a little fresh herbal hibiscus tea and added a little honey and added it to our delicious Valentine’s Day Jello Jigglers. The combination of hibiscus tea and pomegranate juice is delicious together. So, refreshing. The hibiscus is a little sour and the pomegranate juice is a little sweet. As you need to add a hot beverage for the gelatin dissolve, this worked great. Hibiscus tea has many health benefits such as reducing blood pressure, reduction in cholesterol, high in antioxidants, anti-inflammatory, reduces menstrual pain and aids in digestion. In addition, hibiscus tea is caffeine free. 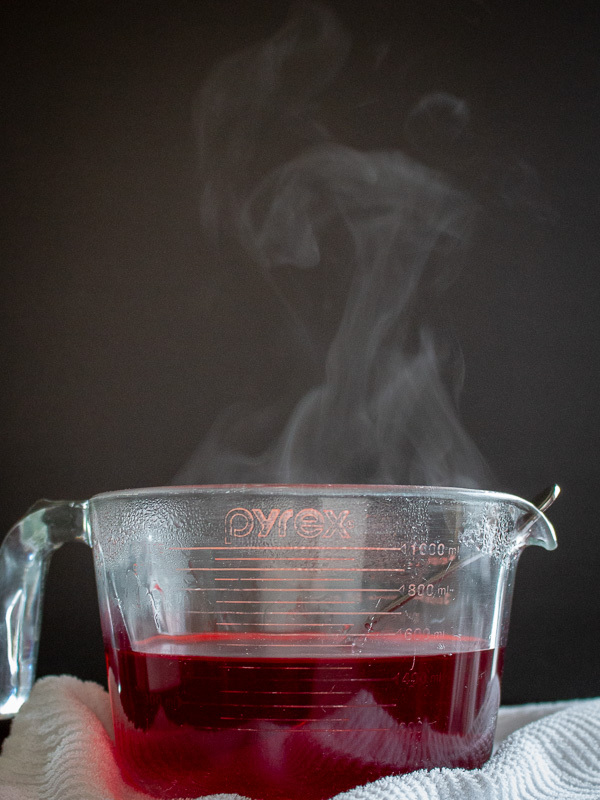 Just as an FYI…You should not drink hibiscus tea if you are pregnant as it can stimulate menstruation or blood flow in the uterus or pelvic region. Nursing mothers should consult with their physicians prior to drinking hibiscus tea. Also, if you have low blood pressure, hibiscus tea may cause your blood pressure to go lower. 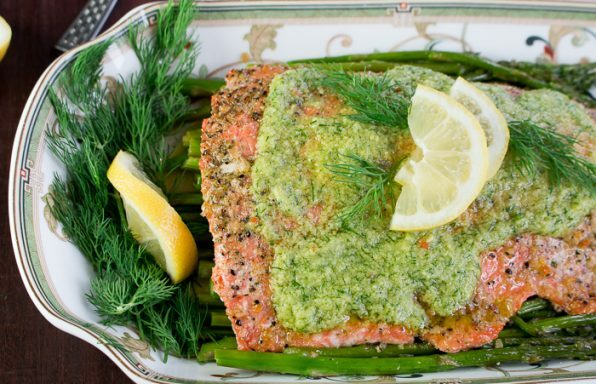 Will you be celebrating Valentines Day with a date night at home? Be sure to check out our Crab Stuffed Whitefish as it takes only 30 minutes, super simple but yet very decadent. 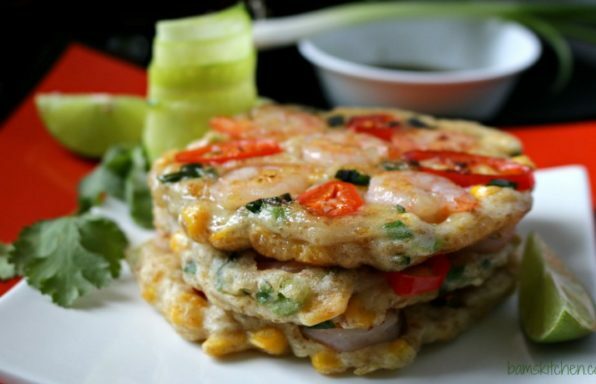 This recipe is our most popular recipe on Healthy World Cuisine. mold - Wilton Ruffled heart shaped silicone molds - 6 hearts or a 8 x 8 inch pan and heart shaped cookie cutters. 1Boil water to make tea. 2Place ¼ COLD pomegranate juice in bowl and sprinkle over your grass-fed gelatin over the top, evenly. Just leave it sit and then when it starts to thicken up stir well to mix. 4Slowly add the hot sweetened hibiscus tea into the bloomed gelatin and stir until all dissolved. Then add the other ¾ cup cold pomegranate juice in and stir well. 6Refrigerate the heart molds or 8 x 8 inch pan with gelatin for at least 3 hours or until firmly set. 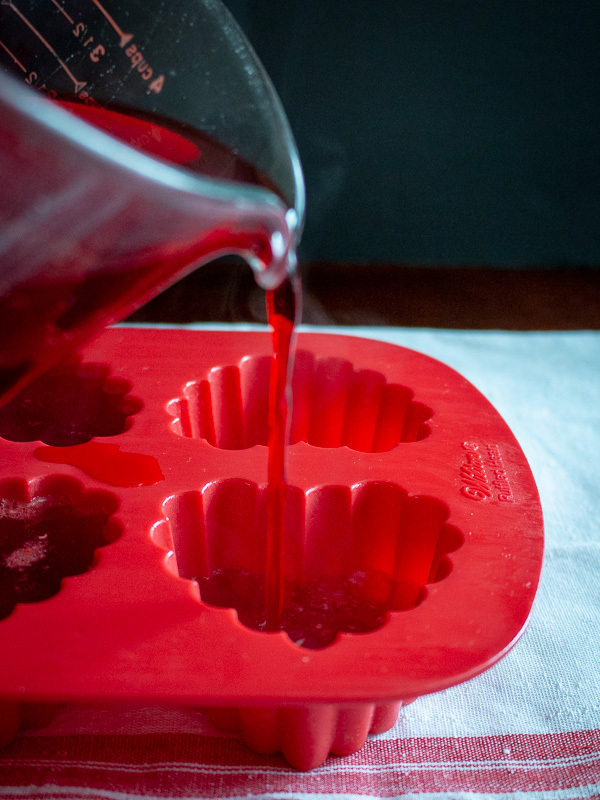 7Silicone Molds: Remove heart happy jello molds from fridge and place in a shallow dish of warm water to help them unstick- about 2 minutes. 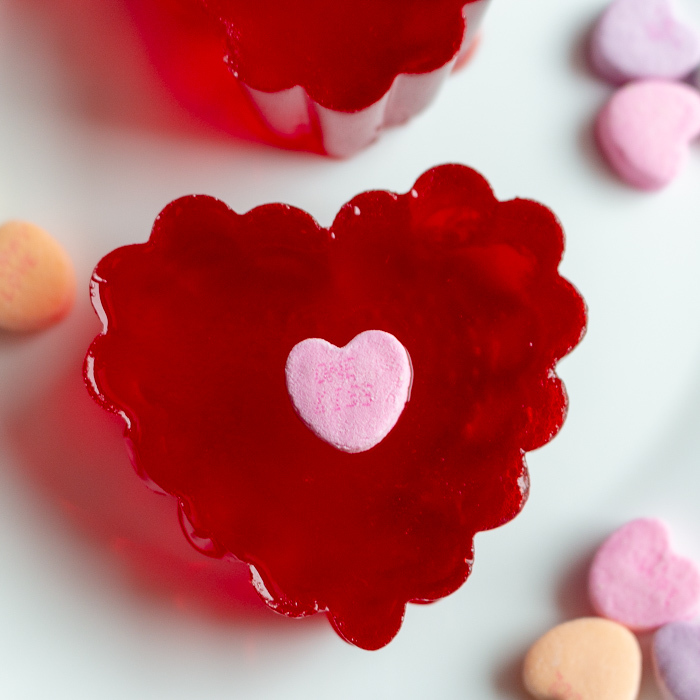 Carefully push on the underside of the silicone mold and push out the heart-shaped jello jigglers. 8Cookie Cutter Method: If you used a 8 x 8 inch pan then you can now use cookie cutters or hand cut into shapes and blocks, use a spatula warmed in water to remove from bottom of pan. Be very gentle so they do not tear. 9Play with your food. Make it wiggle, jiggle and dance then pop it in your mouth. 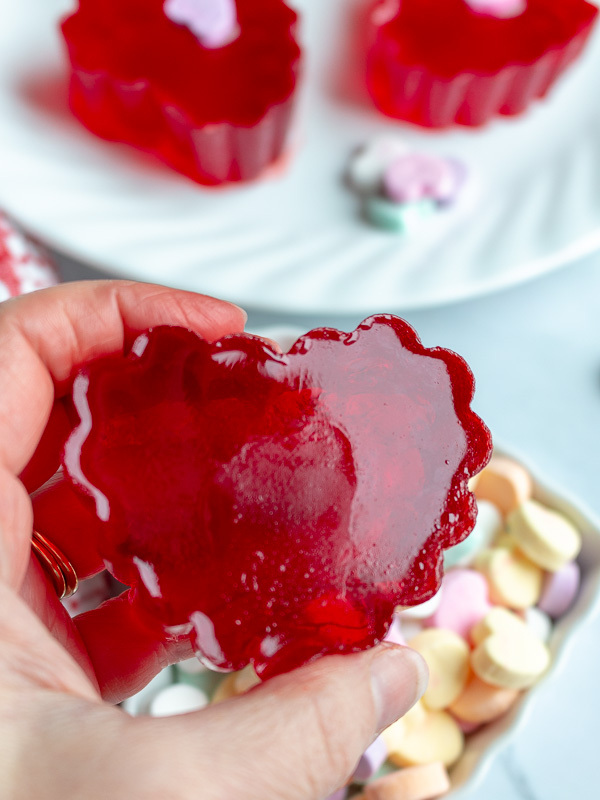 Valentine's Day Jello Jigglers are firm and made with less water than traditional jello, so you can eat it with your fingers. Enjoy the cool, refreshing and sweet taste of this childhood nostalgic favorite.